Choose the class that fits your schedule and call the number next to the class description! Beginners are welcome and drums are provided. Each student receives a free 24-page handbook & instructional videos via our website. It’s a great way to enjoy playing music with a group, on an instrument that anyone can easily learn at any age. You can join at any time - classes are pro-rated from the time that you start! Drums are available for your use in every class. For students who have taken Level 1 for at least one year with Jordan Hanson or who have significant previous playing experience. You will develop more challenging polyrhythms, improve technique, refine your drum tones and experiment with improvisation, solo phrases and variations. The best way for you to quickly improve your playing and increase your rhythm power. You can join at any time - classes are pro-rated from the time that you start! 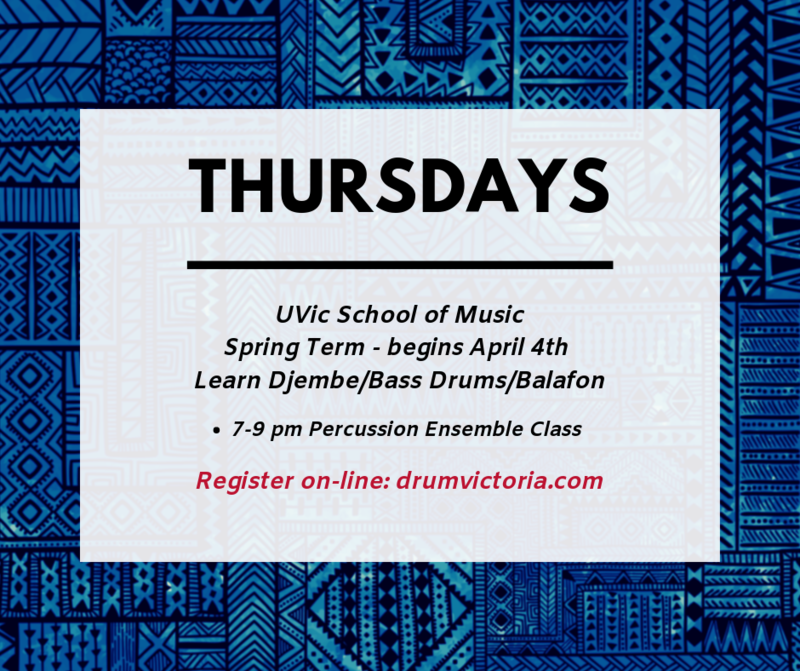 Learn to play full rhythmic arrangements on djembe and other percussion instruments. As well as hand drums, you have the option to learn bass drums, shaker, log drum, gourd drum and xylophone. Everyone is welcome - no prior experience required, plus instruments, class notes & handouts are provided. We welcome new classmates and there are opportunities to practice outside of the weekly classes.